ZAMBIA - Ross® Africa, the long-standing distributor of Ross products in the sub-Saharan region, held its annual Ross Africa Distributor Customer Focus Team (DCFT) meeting in Lusaka, Zambia between 11-14 July. 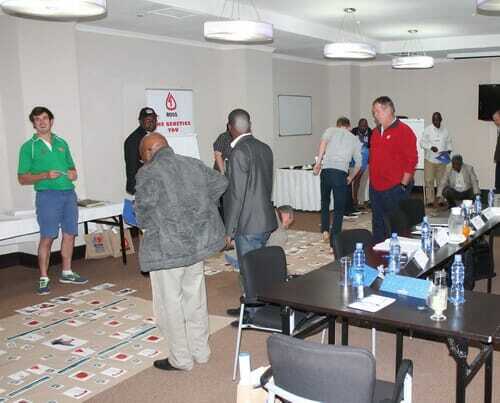 Ross Africa is in its 25th year as a Ross distributor and celebrated the anniversary and 60 years of Aviagen’s Ross brand over the course of the four-day event. Delegates, which included local farmers and Ross customers from 12 different countries, also received poultry advice, management information and commercial updates through a series of interactive and meaningful knowledge-exchange sessions. A trophy to commemorate the 25th anniversary was presented to Colin Lindsay, managing director of Ross Zambia, during the event. The first three days were dedicated to Parent Stock and the fourth focused on broilers, with presentations delivered by the Ross Middle East and Africa (MEA) team members from Aviagen®. The agenda included a focus on genetic improvements and how to maximize the performance of Ross flocks, a marketing exercise, as well as sessions on chick transportation, the importance of temperature control, bio-security and brooding.